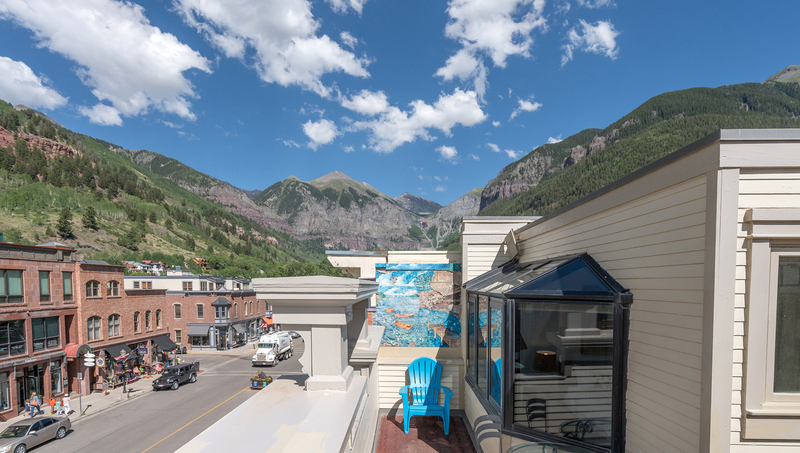 Penthouse with a private deck and hot tub overlooking Main Street in Telluride! 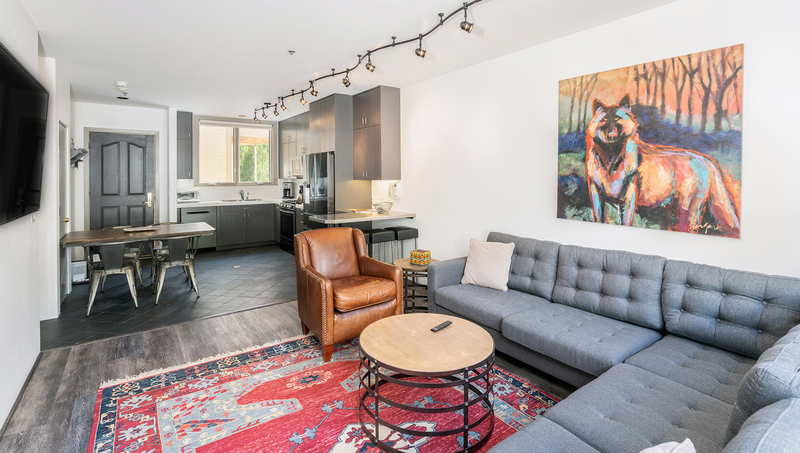 Take the elevator from the New San Juan Building's breezeway up to the top floor and cross the common deck to enter this condo. Inside, the kitchen opens to the living room, with the private deck overlooking main street in Telluride (Colorado Avenue). The deck features a private hot tub perfect for relaxing after exploring Telluride. The living room has a flat-screen TV and well-framed views of the San Sophia Ridge to the north. In the master bedroom is a king bed and sitting area/sunroom. There is a flat-screen TV w/DVD and VCR and a private bath. Off the kitchen is the second bathroom with shower/tub combo and the second bedroom with two twin beds that can be made into a king. The unit has a washer/dryer in it. There is a ski locker on the main street level and garage parking below ground. 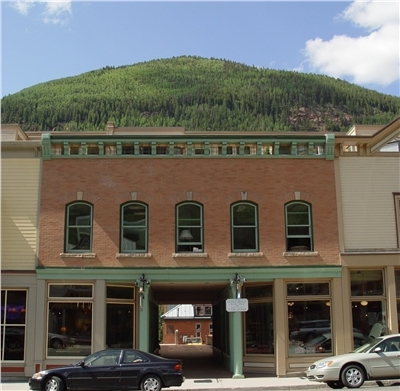 The New San Juan building is on the main street in historic downtown Telluride, just a block from the Town Park and music festival grounds, and four short blocks from the Gondola and Lift #8.